COST: $70/person. The fee includes registration, lodging and four meals. Scholarships are based on need as our funds allow. You can request a scholarship on the registration form, or email Beth at beth_gambardella@ivstaff.org with any questions. TIMES: Please arrive between 6:00 and 7:00 pm on Friday — you will need to eat dinner before arriving. You should allow 2 hours to drive to Triple R from CNU. The retreat will end around noon on Sunday. BRING WITH YOU: Bible, notebook & pen, warm clothes, athletic attire if you plan on participating in the activities listed below, toiletries, bath towel, pillow & sleeping bag (or sheets & a blanket) Linens are not provided. ACTIVITIES: Available Saturday afternoon. Climbing walls, archery, wallyball/racquetball, basketball. No one likes to feel weak. Just thinking about our inadequate resources can fill us with fear and helplessness. But the Bible has a different perspective - within the story of God's people, true weakness is gift. Born out of a deep sense of need, weakness drives us to Christ and unleashes all the redeeming energy of God's grace in our lives and others. We'll do some deep Word study, share personal experiences, and talk about a new, gospel-driven way of living where the way up is down, the weak become strong, and the dead receive life. 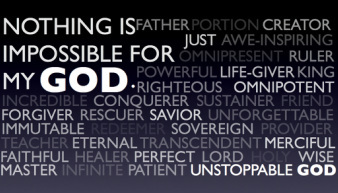 God, for whom nothing is impossible, uses weak people to change the world. But first, he changes their hearts.